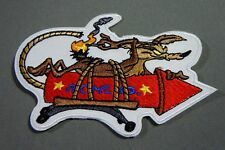 WILE E. COYOTE on ACME ROCKET #2 Embroidered Iron-On Patch - 4"
Peanuts Christmas Play Jelz Window Clings Snoopy Charlie Brown Linus NEW! Set COMPLETO dei 6 personaggi di Topolino. 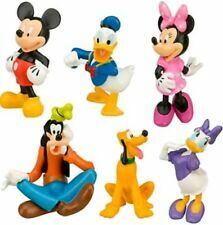 Topolino, Minnie, Paperino, Paperina, Pippo, Pluto. Vi arriveranno BEN 6 PERSONAGGI! 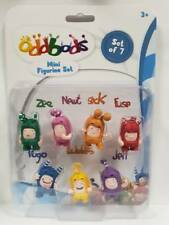 Oddbods Mini Figurine Set. Original. Ship from EU. Best Quality. Fuse - an explosive character;. Jeff - accuracy and accuracy in everything. Age: From 3 Years. For boys and girls. Madagascar Comansi Spanien Figur auswählen (Löwe,Nilpferd,Pinguin,Zebra..
Naruto Hatake Kakashi. Condizioni generali di vendita. משלוח מהיר. быстрая поставка. PER QUALUNQUE ULTERIORE INFORMAZIONE NON ESITATE A CONTATTARCI. Statuetta Cristiano ronaldo 7 Juventus. Prodotto Importato. LA TUA SQUADRA. I TUOI COLORI. Si tratta di bel regalo per gli appassionati di calcio. Da non perdere! Funzione: Testa e Girare a mano. 100% ORIGINALI TOMY Italia. 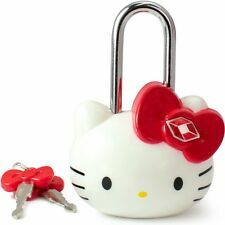 100% ORIGINAL From TOMY Italy. Acquisti Multipli. Servizio / Service. Sede operativa : VIA T.L. BURATTINI 14 -32100 Belluno. Partita IVA : 00976670257. Ape Collection Sas. Warenzeichen und dienen ausschließlich zur eindeutigen Identifizierung. oder Kleinteile verschluckt werden können. Überwachung durch Eltern ratsam. Vielen Dank für Ihr Interesse! L.O.L. SURPRISE Sphere Ball FUZZY PETS Serie 1 Wave 1-A Official ORIGINAL LOL. VERSIONE ORIGINALE e UFFICIALE ! English text. Testo italiano. NOT SUITABLE UNDER 3 YEARS. 100% OFFICIAL Original VERSION. Just repeat the step n.1 for each item. Authorized by United Feature Syndicate, Inc. it was made in the USA and remains in very good condition. Being disclosed for accuracy purposes. For those seldom occassions, I ask for your understanding as things CAN and DO happen. It's BROLY, displayable in all three of his forms from the global smash-hit film "Dragon Ball Super: Broly.". Kappa Hobby's FAQ. About Kappa Hobby. Review product information to make sure it is the item that you wish to pre-order. Schleich® ist ein Warenzeichen der Schleich® Gruppe,welche diese Seite weder gesponsert noch autorisiert hat. Die Benutzung der Schleich® Warenzeichen erfolgt zur eindeutigen Identifikation der Schleich® Produkte und. Vtg Set Of 2 Genuine POPEYE Bifbat King Features Wood Paddles Only (No string or ball). 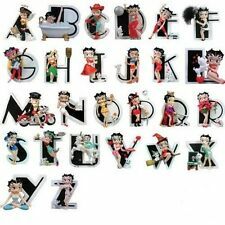 This set includes; 1929 Genuine Popeye Bifbat 11 1/2" x 5 1/8"W, and POPEYE (Blue) 10" x 4 1/2"W. Please expect normal wear from age, use, storage along w/discoloration/fading, rough egding. The larger one has some chipping along right side edge, and smaller is split on handle. Please refer to photos as part of description. Perfect collectibles!! From the EAGLEMOSS HOBBIT COLLECTOR'S Serie. Altezza circa 7cm. English text. Testo italiano. ITEM FOR ADULT COLLECTORS - NOT SUITABLE UNDER 14 YEARS. 100% ORIGINAL. ACQUISTI DI PIU’ OGGETTI. SPECIAL Limited Edition. 1996 Space Jam Toy, most likely from a McDonald’s Happy Meal. Original. Approximately 4” tall. When you roll the Toy, he spins around the goal. Awesome condition. A fun little piece of 90’s nostalgia! Thanks for looking! [PRE-ORDER]. Introducing a sun kissed version of hermaphrodite Dva. featuring Dva - a cutie with both male and female sexual organs - now with a golden makeover. Enjoy Dva just the way you like.". Review product information to make sure it is the item that you wish to pre-order. Statuette nuove nel blister, alte 10cm circa. Inserzione creata da Maxpho®. Neues AngebotSNOOPY / PEANUTS DRAPES YELLOW 2 PANELS 24" X 60"
1 PAIR 24" X 60'" 2 PANELS. The main character from Persona5 is joining the figma series! The smooth yet posable figma joints allow you to act out a variety of different scenes. Note on release date : release date information can also be found at manufacturers' official website. Nicht geeignet für Kinder unter drei Jahren wegen Erstickungsgefahr durch verschluckbare Kleinteile ! Verkauf nach § 25 a UstG. No markings on back. This is a fantasy "fan made" pin. Funko POP! Asterix & Obelix - Obelix #5549 10cm. Eine Funko Pop Miniatur zum Film Asterix und Obelix. Weta Sideshow. World of Warcraft. 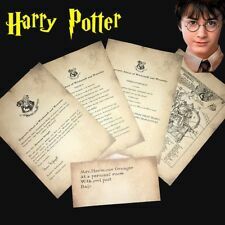 Harry Potter. Zubehör für Tabletop-Spiele. Statuetta nuova nel blister, alta 10cm circa. Inserzione creata da Maxpho®. The coloring is also an homage to the DX Chogokin's appearance. It's the ultimate God Mars release for both new and nostalgic collectors! Gaia (forms the core), Sphinx (forms the body), Uranus (forms the right arm), Titan (forms the left arm), Shin (forms the right leg), Ra (forms the left leg), Display stand and Cosmo Crusher (3-part vehicle), Various optional hands and Gaia statue accessory, New weapons (7 varieties), Mars Slash (God Mars' sword). SNOOPY / PEANUTS DRAPES YELLOW 2 PANELS 24" X 60"